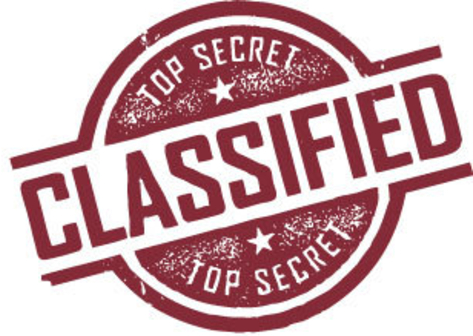 For a school department that most people never think about, there is a lot of secrecy surrounding operations of SFUSD’s Student Nutrition Services (SNS). This year, SNS is trying to increase the number of students choosing to eat school meals, including breakfast, by offering those meals free to all 37,000 students (regardless of family income level) at 54 schools. Wouldn’t it be nice to know if the “free for all” strategy is working? SNS uses programs like Breakfast in the Classroom and Grab n Go Breakfast, which are specifically intended to get more kids to start the day with a healthy meal. But how much sugar is in that breakfast that is being handed out free to all comers? That seems like an obvious question to ask in a city that is preparing to vote (for the second time in two years) on a tax on sugary beverages. Too much sugar at breakfast? In August 2016, the American Heart Association issued a statement recommending that children up to age 18 consume no more than 6 teaspoons of added sugar a day; at 4 grams per teaspoon, that limits maximum added sugar intake to 24 grams. Added sugars are, as the name implies, caloric sweeteners that are added to processed food like cereals, baked goods, and many beverages (as opposed to the sugars that occur naturally in milk or fruit). But it’s hard to know, since the nutritional information on the SNS website contains the usual list found on the nutrition facts label of any processed food – calories, fats, cholesterol, protein, carbs, fiber, a few vitamins and minerals – with one major exception. Sugar is not listed – at all. To find out how much sugar is in the cereals and baked goods served as part of their child’s free SFUSD breakfast, a curious parent would need to seek out information from other sources. That’s how I came to know that the large 2.3 oz Dipperdoodle bar served for SFUSD breakfast on September 9th contains 11 grams of sugar (virtually all of it “added” from the three types of sugar listed in the ingredients). That Dipperdoodle bar alone provides nearly half the maximum amount of added sugar that the AHA says a child should eat in a day. The smaller 1 oz. Dipperdoodle bar served on September 6th contains just 5 grams of sugar, but it came with a serving of Kashi Berry Blossoms cereal containing 7 grams of sugar, for a grand total of 12 grams of sugar (half the recommended maximum), again virtually all from multiple added sugars listed in the ingredients. The Zac Omega Berry Bar served on September 28th contains 14g sugar, including sugars as the 3rd, 4th, 9th and 10th ingredients, but, to be fair, the 11th ingredient (listed in descending order of volume) is “natural strawberry puree,” so some very small portion of those 14 grams of sugar did occur naturally in the strawberries. Should anyone really be required to dig around this much just to learn the sugar content in breakfast offerings at their child’s public school? Especially if that breakfast appears magically on the child’s desk every morning as part of a Breakfast in the Classroom program? But the lack of transparency in SNS operations is not limited to what’s in the food. Why can’t we know how many kids are eating? I was asked recently by a reader if there was any data posted showing the number of meals eaten monthly at each school (called “participation”). This would be feasible for SNS to do, as they must collect and submit this data by school each month to the California Department of Education (CDE), in order to receive government payment for those meals. So SNS has the numbers, but where might they post them? There is a section of the district website devoted to SNS, which seems like the obvious spot. Separately, there is an entire website devoted to the district’s ambitious plan to “reimagine school meals,” called the Future Dining Experience, one of the main goals of which is to increase participation. Yet there is no information – at all – on either the SFUSD website or the Future Dining Experience website showing meal participation by school. Apart from parents and guardians, the number of citizens who are interested in tracking this data may be limited to those working on child hunger, or children’s health, or improving school meals. But shouldn’t the data that SNS is already collecting and sending to the state be readily available to those who do need it for their work? You, know, without having to file a Freedom of Information Act request? In order to learn that fewer students are choosing school meals now than just a few years ago, I had to dig deep into SFUSD budget documents and make my own comparisons, because SNS’s claimed (on page 60) “growth in breakfast” during the 2015-16 school year apparently exists only as a figment of someone’s imagination. The actual drop from 7600 breakfast a day in 2014-15 to 7450 breakfasts a day in 2015-16 doesn’t sound like “growth” to me. For a district beginning the 4th year of a seemingly endless project created by design firm IDEO to “reimagine school meals” in order to increase participation, you’d think that would be information that folks might like to track. What’s up with the Future Dining Experience? Speaking of that project (presciently named the “Future Dining Experience,” since its arrival time always seems to be far in the future), current details on its progress are pretty much nonexistent. To date, a handful of SFUSD’s 100+ cafeterias have been spruced up. We’re all keen to know those outcomes, but now, entering the 4th year since the project was approved by the Board of Education in September 2013, implementation dates keep getting pushed farther into the future. Where are the full-meal vending machines and mobile meal-dispensing carts piloted back in 2014, or at least an update on their status? I had to unearth a March 2016 progress report, filed by grant-funded researchers at UC Berkeley who are studying implementation of a couple of the plan’s features, to learn that innovations promised for last year will (maybe) happen this fall. Or maybe next spring. In other words, both IDEO and SFUSD should have known that there would be delays, but clearly they preferred to present the rosiest possible scenario for implementation of their ideas. As long ago as 2014, they were promoting their plan to digital architecture and design magazine designboom in the present tense, as if the ideas in the giant 200 page book IDEO produced were anything more than just that – ideas on paper. Despite being paid a lot of money, design firm IDEO produced a design for a cart that not only did not meet health code regulations, but that could not even be adapted (or “iterated,” as IDEO likes to call it) to meet regulations at anything approaching an affordable cost. I guess it’s not surprising that SNS tried to keep that little fiasco under wraps. Madsen’s report also explains the multiple reasons for delays of several other Future Dining Experience recommendations, including the installation of meal vending machines at some middle and high schools, and the development of Smart Meal Technology to allow students to preorder lunch from an app on a smartphone or tablet. It makes for fascinating reading for those who enjoy the details of bureaucratic snafus. One of the custom features of that delayed lunch-ordering app would allow students to submit feedback on their meals. It is well known that the best way to find out if the students like what is being served is to ask them, and this app would allow not just SNS but also the parents, who rely on SNS to offer their children healthy food the kids enjoy eating, to see just how the kids feel about those meals. In fact, there is no reason at all why that student feedback could not immediately be made available online for all the world to see, kind of a Yelp review of school cafeterias. Anyone think SFUSD will be sharing those student-written reviews of their meal program with the community? Anyone? Anyone…?